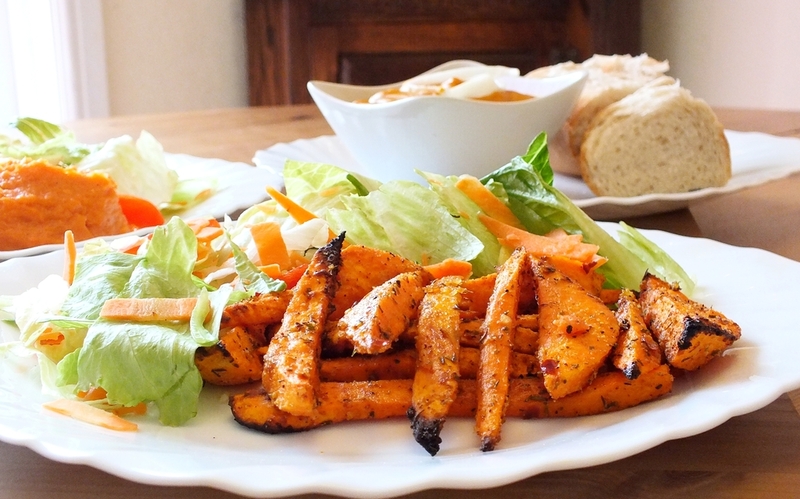 Sweet potatoes are eaten worldwide, and are a huge part of the Zambian diet. Growing up I always felt like they were cooked in the same old way. 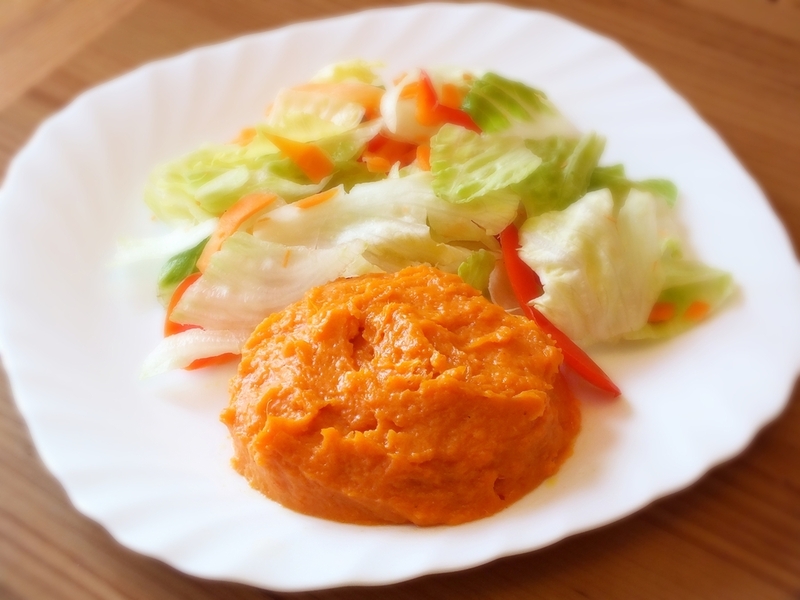 It was only when I got older that I was introduced to the orange coloured sweet potatoes and since then I couldn’t get enough. 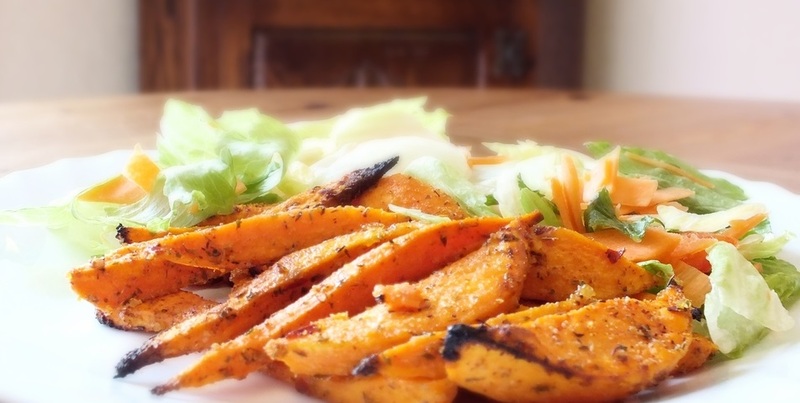 What I love about these sweet potatoes is they taste amazing, and can be cooked in various ways. 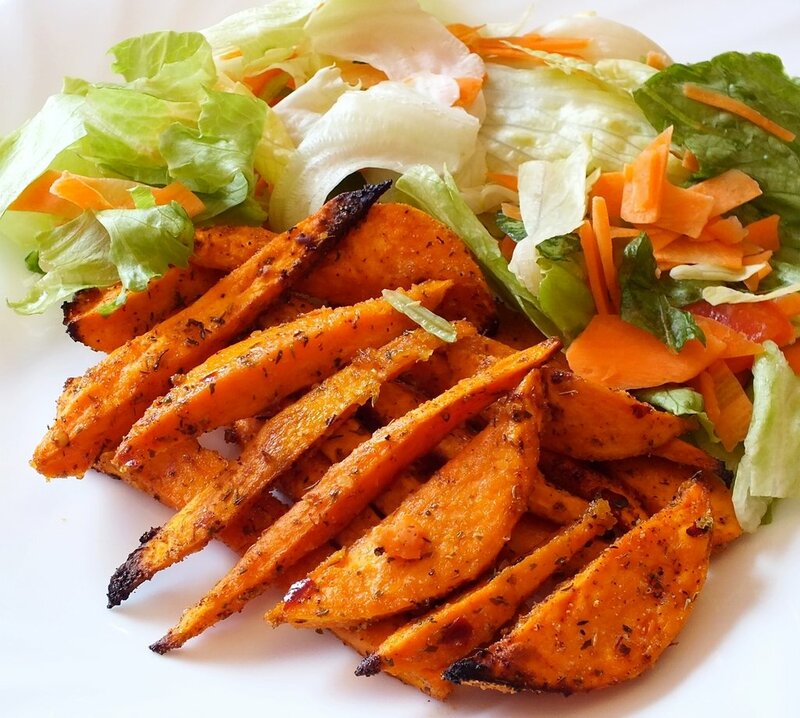 Furthermore, sweet potatoes are extremely healthy; in fact one baked, medium-sized sweet potato contains 438% of your daily value of vitamin A, 37% of your vitamin C, and a bit of calcium, potassium, and iron and 4 grams of dietary fiber. Now, I’m a huge believer in making your cooking exciting; and this doesn’t have to be done on a big budget with fancy ingredients, it can simply be done by finding new and exciting ways to cook the same food. There is nothing wrong with mixing sweet and savoury flavours together, just because sweet potatoes are sweet doesn’t mean you can’t have them in a savoury dish; so today I’m going to show you exactly how to do that. Without further ado ladies and gents here are your 3 recipes. Preheat oven to about 250° C.
Peel potatoes; cut each potato lengthwise. Place potatoes in a large bowl; coat with cooking spray/oil. Combine sugar, salt, chilli pepper, and black pepper; sprinkle over potatoes, making sure each one is coated. Place potatoes, in a single layer on a baking tray. Bake for 10 minutes; turn wedges over; bake for another 10 minutes or until tender and beginning to brown. Enjoy your wedges as part of your main meal with a juicy piece of T-bone steak, and a fresh salad or coleslaw. Or try them as a light snack or starter, with a sour cream and chive dip. Add onions and cook for 3 minutes or until tender. Add sweet potato, carrots, ginger, and curry; cook for about 2 minutes. Add broth and bring to a boil. Cover the saucepan and reduce the heat. Simmer for 25 minutes or until vegetables are tender; stir in salt. 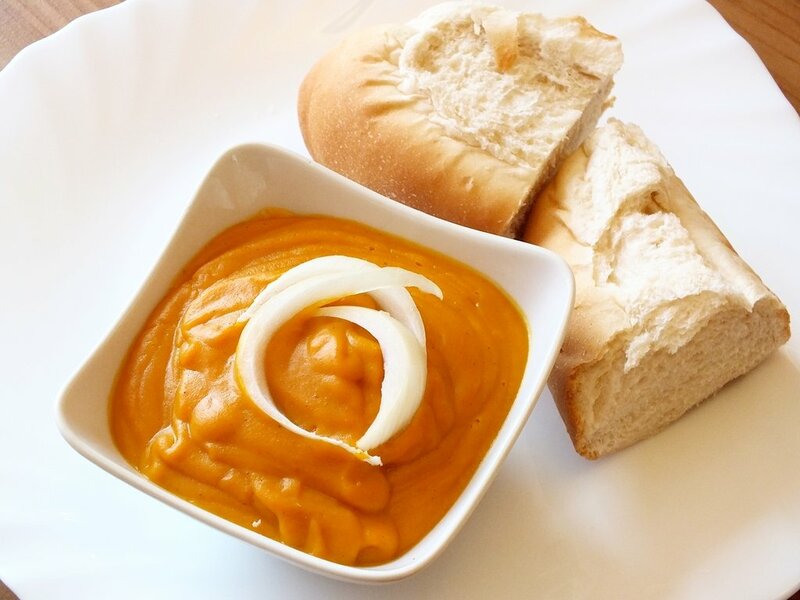 Pour half of soup in a food processor or blender; pulse/blend until smooth. Repeat procedure with remaining soup. Serve with soft white fresh bread. 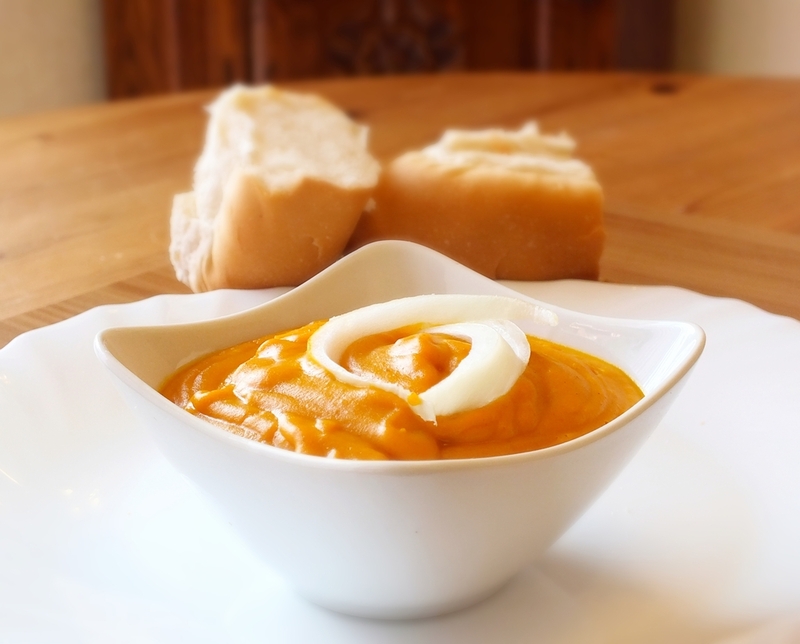 Combine butter, cream, salt, sugar, and sweet potatoes in large saucepan. Cover the saucepan and cook over a low heat, stirring occasionally, for about 30-45 minutes or until potatoes fall apart when poked with fork. 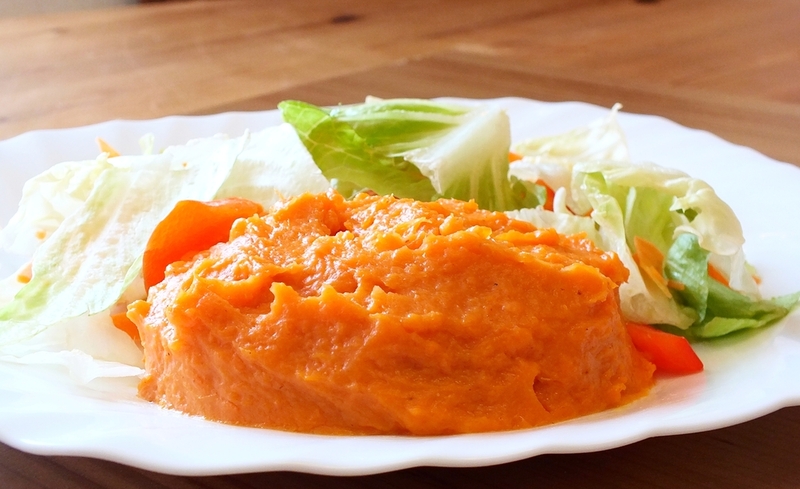 Remove from heat and mash sweet potatoes in saucepan with potato masher. You can also mash in a kitchen aid mixer. Stir in extra salt and pepper to taste. 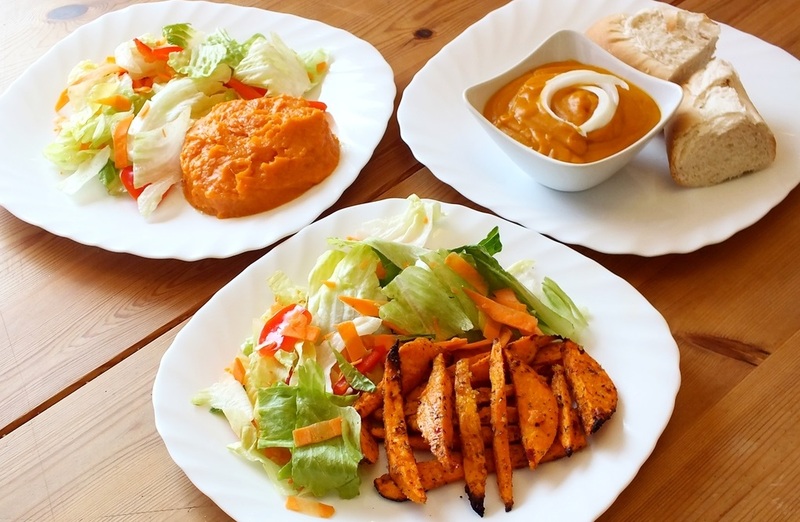 Plate up your thick and creamy sweet potato mash and enjoy with, a light salad, or asparagus and a piece of healthy grilled chicken. Kanta Temba is a cake maker and decorator. She is also the owner and founder of Kanta Kakes – cake shop. Kekekeke @Cat Power, yama kuti mwakalya ka Kanta. Thanks for this another amazing looking sounding recepie!! Interesting ai, the two gentlemen above are admiring the chef while Sharon is admiring the food! Waiting for a comment from NEZ. I prefer my sweet potatoes plain. Noti na vi chillie and colourants na vi cream. Next recipe please! !